A fabulous new hybrid mating two exceptional and proven parents ! Lc. Trick or Treat is among the best of American orange multifloral Cattleyas. 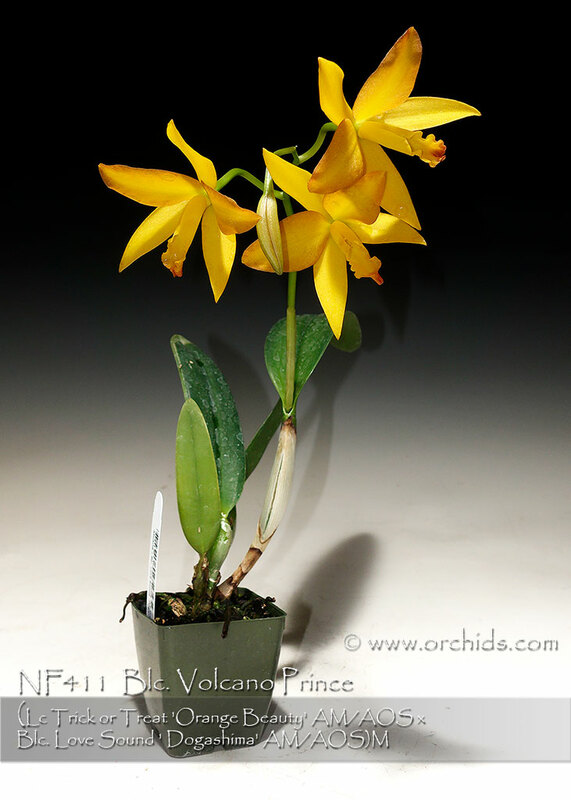 Blc. 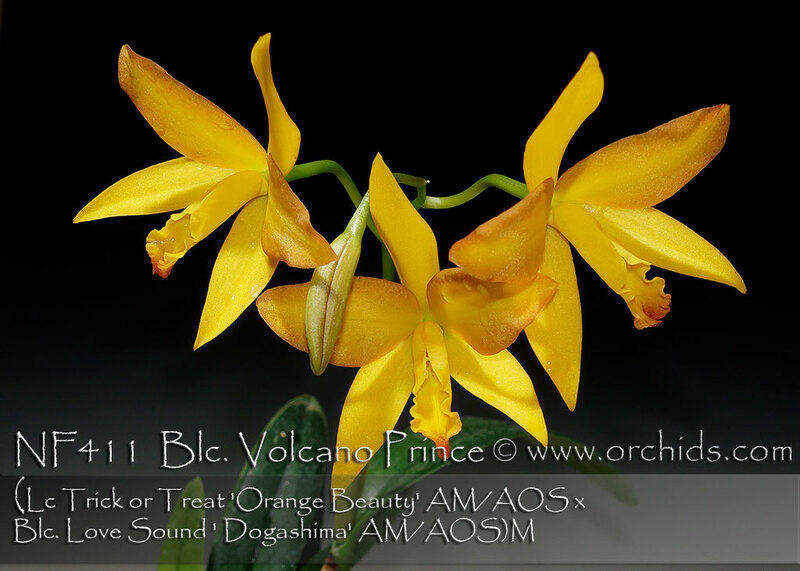 Love Sound ‘Dogashima’ AM/AOS, as the pollen parent, is known for breeding some of the best yellows and art shades and adds more cold tolerance to Lc. Trick or Treat. As a result of these two parents, Blc. 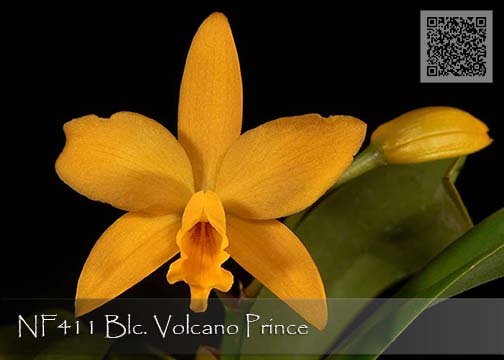 Volcano Prince is a compact grower with shapely bright flowers producing up to six 8.0 cm flowers per spike which can flower twice a year. Highly Recommended !